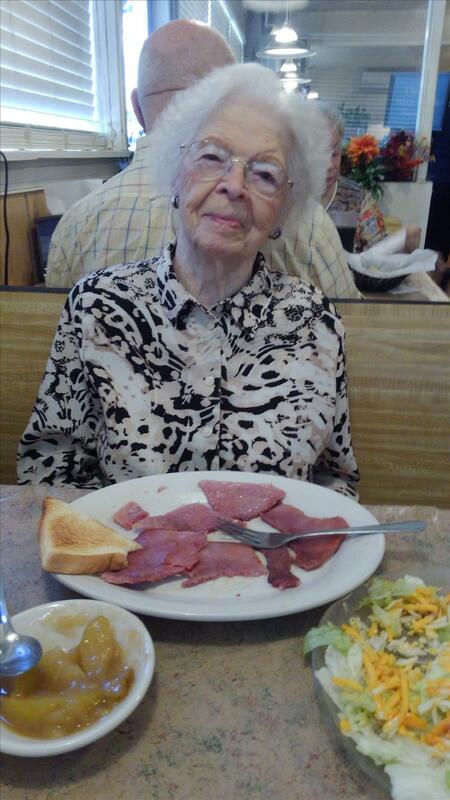 Bernice was born on October 9, 1921 and passed away on Monday, March 11, 2019. Bernice was a resident of Burlington, North Carolina at the time of passing. Bernice was a 1939 graduate of Silk Hope High School. The family will receive friends at the Rich & Thompson Funeral and Cremation Service in Burlington on Wednesday, March 13, 2019 from 6:00 until 8:00 p.m. The funeral service will be conducted at the Rich & Thompson Chapel in Burlington on Thursday, March 14, 2019 at 11:00 a.m. Burial will follow in Sapling Ridge United Methodist Church Cemetery in Pittsboro, NC. Visitation at the Rich & Thompson in Burlington from 6:00 PM to 8:00 PM on March 13, 2019. In lieu of flowers, memorials may be made to Sapling Ridge United Methodist Church, 5016 Silk Hope Gum Springs Road, Pittsboro, NC 27312 or a charity of the donor's choice. The beautiful and interactive Eternal Tribute tells Bernice's life story the way it deserves to be told in words, pictures and video.